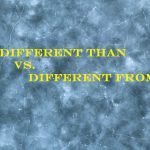 Different from and different than are two English phrases that often get mixed up because they seem interchangeable. Guess what? They’re not.